Please select an option 28-48" 48-84" 66-120" 120-170" Please select a size. 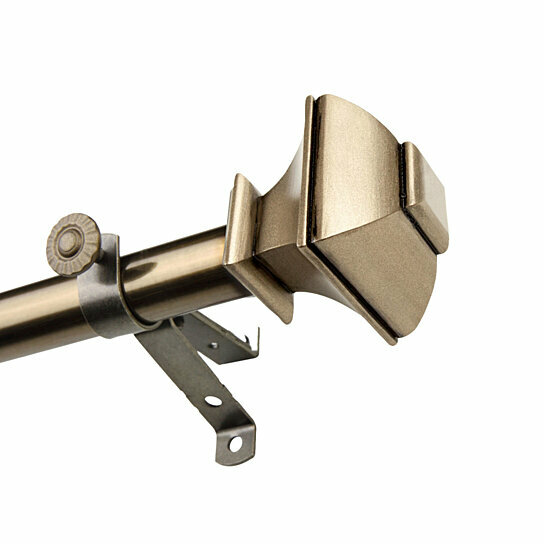 Give your window hardware an upgrade with the gleaming finials featured on this curtain rod from Rod Desyne. Two of Marty finials, each finial measurement: 2.5" x 2.75" x 2.125"
Material: steel rod, resin finial. Color: Antique Brass.